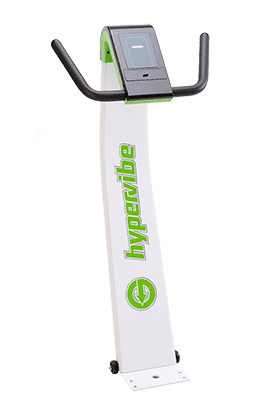 Whole body vibration exercise on a high quality machine is safe and is different to Occupational Whole Body Vibration from driving trucks, buses and using power tools. It is recommended to seek professional advice if you have any concerns about engaging in any kind of exercise. High degree of vibration transmitted to the head. Extended duration of vibration transmitted to the lower back while in a seated position. Vibration of the human body is a natural phenomenon that occurs as a normal part of movements such as walking, running or jumping and the body is designed to deal with vibration in a healthy way. Certain types of vibration are used in clinical settings to assist with relaxation and enhance muscular performance. Under some circumstances however, vibration can create stresses on the human body that are not healthy. The kind of vibration and the way the body encounters it determines whether the vibration stimulus is healthy or not. 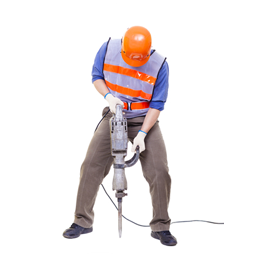 Truck drivers, jack-hammer operators and other industrial machine users can encounter unhealthy stresses from sustained exposure to vibration, even at low levels of intensity. 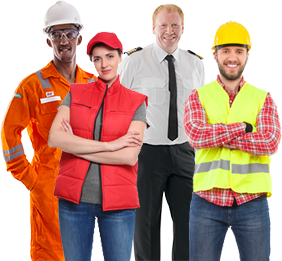 Typically, Occupational Whole Body Vibration refers to vibration exposures that occur for hours at a time, day after day and can involve vibration frequencies ranging from 1Hz up to 100Hz and more. Vibration during seated postures can generate the highest degree of unhealthy stress due to the inability of the legs and hips to absorb vibration that would otherwise travel through the spine and head. The body has numerous defensive mechanisms it can use to prevent damage from external stimulus such as vibration. However during extended periods that are repeated without adequate rest, the nerves and muscles that would otherwise stabilise a vibrating body segment, become fatigued and can no longer function properly. This allows all the surrounding tissues to be exposed to excessive movement for hours on end which is an unhealthy stress on the body. For brief periods, typically 10-minutes. Intermittently with adequate rest periods. Using a limited frequency range not lower than 5Hz and not exceeding 60Hz. In a standing posture most of the time – allows the maximum amount of joint and muscle movement to absorb the vibration while joints are in a favorable posture. 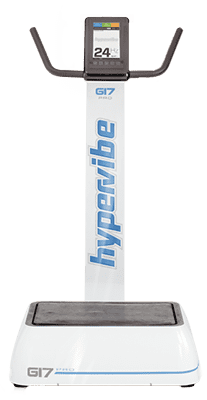 Is High G-force Vibration Safe? This question only started appearing after the market became flooded with cheap low-powered vibration machines. 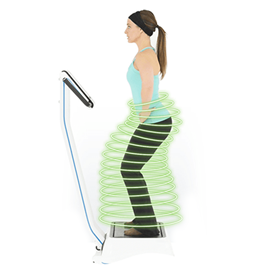 Whole Body Vibration began as a high G-force form of exercise and has always been considered safe. 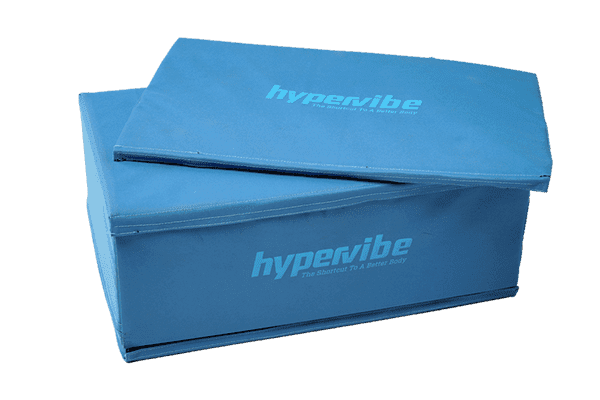 In fact many scientific research papers confirm not only the safety of high G-force Vibration exercise but also the superior results that are delivered by higher G-forces. You may have arrived at this page looking for answers after being told high G-force was dangerous yet not given a satisfying reason why or have seen websites making the same unsupported claim. Again, the people making these claims are selling or promoting vibration machines that cannot exceed 4G. With limiting marketing options available to sell such a low-powered machine and with scientific evidence piling up higher and higher to support higher G’s, some are resorting to scare tactics to cling on to sales before their product becomes totally unsellable. One website even claims that you risk going blind, unconscious or even dropping dead if you use a vibration machine that can exceed 4G. One example of cheap marketing used to sell cheap machines is fighter pilots passing out at accelerations as low as 8G. What these people deliberately don’t tell you while trying to scare you into buying a low-powered massage machine is that during Whole Body Vibration the body is exposed to high G-force for fractions of a second. During fighter jet maneuvers the pilot can suffer unconsciousness if exposed to high G-force for up to 20 seconds or more. ie. The ‘duration’ of G-force in the fighter pilot example is 500 times longer than what someone would experience on a whole body vibration machine. Have you ever been slapped in the face? That slap generated hundreds of G’s of acceleration on your head. Did you go unconscious, become blind or drop dead? Of course not. Again, the duration for those hundreds of G’s was fractions of a second. Another fact omitted from the cheap marketing tactics is that the human body is not a rigid pole. There are hundreds of moving joints surrounded by elastic tissues which make the human body more like a spring. 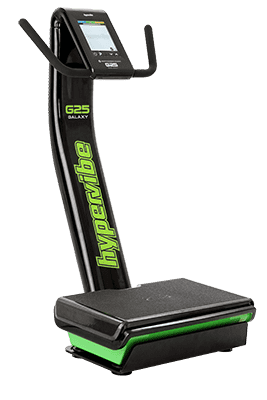 Scientists have tested G-forces8 at different locations around the body during Whole Body Vibration and found that only a fraction of the G-force generated by the machine is actually transferred to any one particular point on the body. If you are still not convinced that high G-force is safe, read the case study below about Elderly people using high G-force then come back and compare the documented reality with what you may have been told by unscrupulous salesmen. Perhaps the best evidence that high G-force is safe and more effective is in examining research involving the elderly. Surely if high G-force vibration was going to have a negative effect on anyone it would be 90 year old women right? A good example is a 2013 study by a researcher named Zhang7 involving 44 Chinese hospital patients between the ages of 82 and 89 who were not only elderly but clinically “Frail’ meaning they were not capable of performing one or more basic every day tasks like walking and dressing themselves. Over an 8 week period Zhang had them perform a total of 152 minutes of vibration exercise with up to 8G of G-force; double what most vibration machines can generate. He tested their performance of three tests to determine strength, power and balance. The control group did not perform vibration exercise but instead underwent physiotherapy and did aerobic exercise. The vibration group improved their power and balance by 89% which was 53% higher than the control group. They also improved strength by 57% which was 27% higher than the control group. 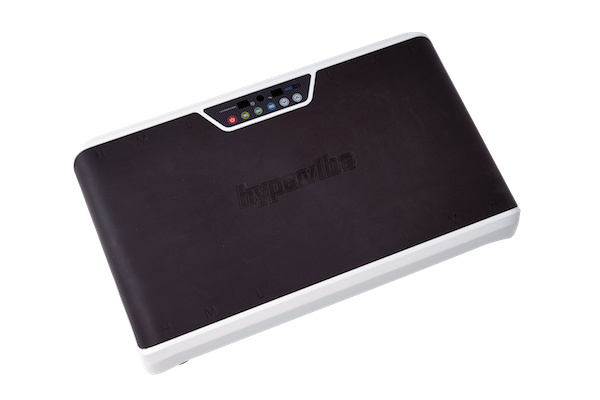 To date, there are no indications that Whole Body Vibration Exercise performed on a high quality Pivotal platform does or does not present a risk of harm to pregnant women however as a precaution, Hypervibe does not recommend that their machines be used during pregnancy. If other concerns exist we recommend you consult a health professional before using the machine. Delecluse C. Strength increase after whole-body vibration compared with resistance training, Med Sci Sports Exerc, 35(6), 1033-41. Crewther B, 'Gravitational forces and whole body vibration: implications for prescription of vibratory stimulation.' Physical Therapy in Sport 2004, 5:37-43.